To many, 3D printing is still seen as something of a gimmick. But to Conan Thompson, it could have saved his life. Before Thompson was born, doctors performing a routine ultrasound scan spotted a walnut-sized lump on his face that could have prevented him from breathing after birth. To determine whether he'd need emergency surgery, they used a 3D printer to create models of his head. "Based on the images we had, it was unclear whether the mass would block Conan's airway after birth," explained Glenn Green, one of the doctors who worked on the case. "The 3D printed model of the fetus allowed us to actually see in person what it looked like and have something in our hands to help us decide the best way to care for the baby." 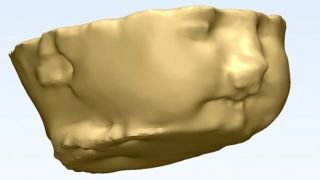 The information obtained from the model helped doctors decide that the lump would not be a risk - avoiding an expensive and dangerous procedure involving a partial delivery of the baby while it remains attached by its umbilical cord. Instead, Conan was born via a scheduled caesarean section and is now nine months old. "They told me the 3D printed models would help give them a more accurate idea of what was going on and what kind of delivery I should have," said Megan Thompson, Conan's mother. "I was relieved that I didn't need the more complicated and risky surgery and could be awake for the birth of my first baby. I'm glad that what they did for Conan may help other babies and their families in similar situations." A description of the technique was published the scientific journal Pediatrics.